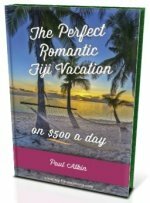 Want an affordable romantic Fiji getaway? 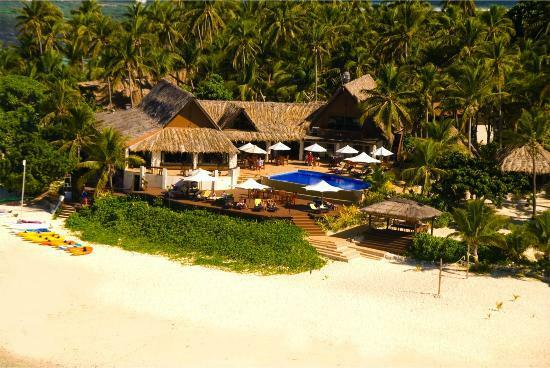 Discover Matamanoa Island Resort in Fiji. An adults-only resort on it's own island ensuring privacy, seclusion, and relaxation. - Who does Matamanoa suit? It's most suited to couples on a mid-range budget wanting a relaxing isolated tropical island getaway. It's not suited for families as children under 16 are not allowed. Matamanoa Island is a tiny 10-hectare island shaped like a chicken leg situated in the Mamanucas. Most of it's fringe is white sandy beaches rising to a hill in the middle. The resort is gorgeously situated on the fat end. Needlessly to say, it's the only thing on the island. Sea - 1. South Sea Cruises has a 90-minute ferry service on a 25-metre cataraman accommodating 145 people. It leaves Denarau Marina once in the morning and once in the afternoon. This is the most inexpensive option. 2. A personal water taxi via Mamanucas Express also leaves from Denarau Marina. It operates 24 hours. 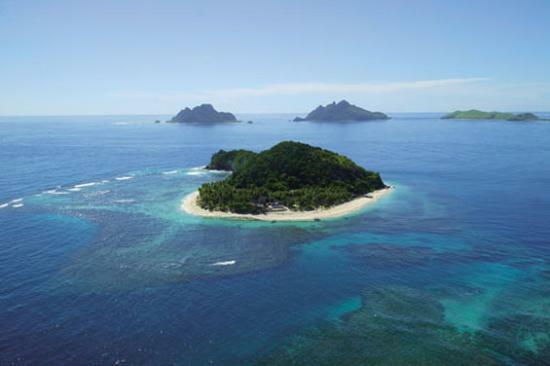 Air - A fancy helicopter ride with Island Hoppers giving you a bird's air view of the stunning Mamanuca islands. It's a 10 to 12-minute ride leaving from Nadi Airport and Denarau Marina. Denarau Marina is situated on the upmarket Denarau Island just 20 minutes from Nadi Airport. Personally, if I was on my honeymoon, I would try a helicopter trip to Matamanoa and then the ferry back. Get the best of the both worlds. For more information, visit our Transport in Fiji page for timetables and contact information. Matamanoa Island has two accommodation styles to choose from. 1. Beachfront bures - These 20 spacious 54m² Fijian-styled high-ceiling bures have a king size and sofa bed accommodating 3 adults. Each are comfortable with air-conditioning, a hammock, and indoor and outdoor tables and chairs. Bathrooms have his and her basins. 2. 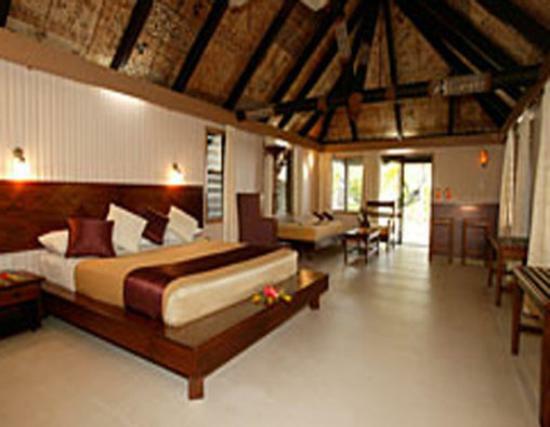 Resort rooms - These 13 ground level rooms are much smaller at 26m² and situated in a row amongst tropical gardens. Similar to the bures but with single basins, no sofa bed, and a small patio with a day bed instead. The beachfront bures is the nicer option here, with the resort rooms having a 'box' feeling to it. If doable, upgrade to a bure. For lunch and dinner you have the option of paying as your go, or choosing one of the meal plans. Beverages other than tea & coffee aren't included in the meal plan. Check both options, there's a sample menu, upon booking. If you aren't a big eater, then pay-as-you-go is more economical. Lately, the food has been getting mixed reviews. 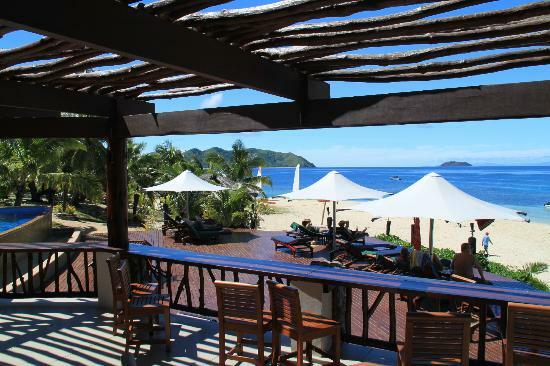 As per normal for a Fijian mid-range priced resort, non-motorised activities are complimentary. Some include: hikes, canoeing, beach sports, boats, tennis, table tennis, and cultural activities. Paid activities include: island trips, village visits, scuba diving, snorkelling, cruises, and fishing. 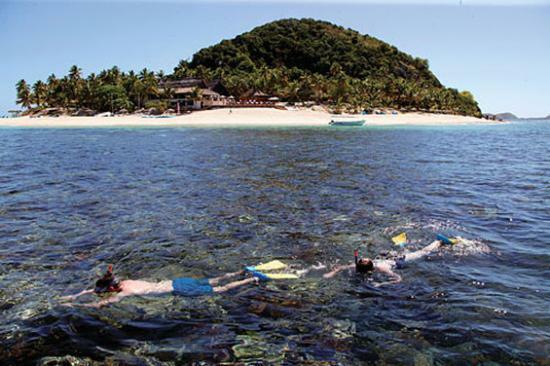 Scuba diving is a paid activity as is everywhere else in Fiji. Situated in the Mamanucas, there are scores of diving site options. Beginners also are able to learn. Veidomoni Spa is the name of the spa at Matamanoa. 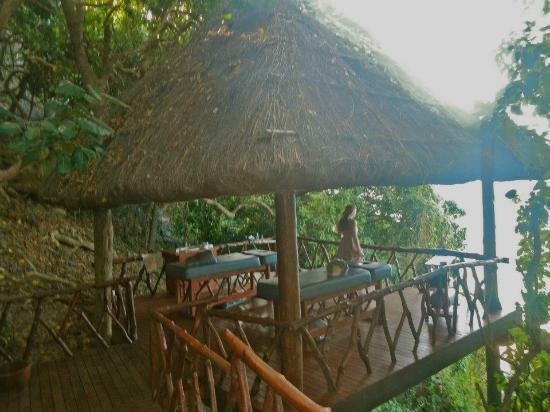 It's exquisitely located on a cliff in a treehouse overlooking the ocean, which sets the mood with the sounds of the waves and the feel of the breeze. Massages, body treatments, foot & hand, after sun treatments, facial, and a couple more than aren't in my vocabulary. It's reasonable priced. As a guest, you receive a 10-minute spa foot ritual. Rates including simple breakfast and a 10-minute spa foot treatment.